Our great Architects and many in the Building Industry are finally beginning to understand loss prevention because no one needs any more data. The Insurance Industry is now listening when it comes to understanding that the yellow drywall, concrete OSB sheeting or even FRT fire treated plywood on exterior walls will do next to nothing to save a building or make a job safer for workers in a fire during construction. When a fire gets going on the 90% of the raw lumber inside, it creates the same type of advancing energy a wild fire creates. We can not expect Fire Captains who arrive on site to allow his firefighters to go inside a raw wood building during a construction fire. They will only try to defend the neighboring buildings. Until all raw lumber has been fire defended to break the chemical reaction inside the fire to stall and slow the advancing energy, so firefighters have more time to arrive and mop it up we will continue to lose over 1 billion board feet of lumber per year. Today all around the US in Fire Training centers fire fighters are being introduced to the M-Fire APP which delivers realtime data on what part of these huge high density projects have been fire defended so when they pull up and recognize something different about the fire they can safely go in if the clean chemistry did not already eliminate it already. M-Fire is nationally promoting a proactive kind of positive fire safety change- just like back when the building industry changed to EWP and I Joist by 2 guys. Our building industry is long overdue when it comes to defending all types and wood structures during construction from fire by a 45 year building veteran and his team to make building with renewable sustainable lumber even better when it comes to risk management, workers, firefighters, tenants safety from fire loss. On November 4-7, 2018 The IRMI Construction Risk Conference will bring nearly 2,000 leading project owners, general contractors, subcontractors, developers, insurers, and insurance agents and brokers together in Houston, Texas. There is no better forum to learn the latest construction risk management and insurance trends, strategies, and tactics as well as network with leaders in the industry. 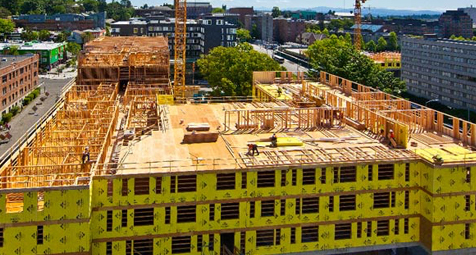 One of the leading Insurance Brokers Lockton Company is out in front to help owner, builders and contractors lower risk for workers and loss on high density wood framed projects. If your insurance company is not willing to lower your risk premiums, if you decide to embrace and use today’s Best Practice when it comes to defending all your wood framed structures and workers from fire during construction, then you may want to contact the Lockton Company and let them find you an insurance company that will. There is a really good chance that this problem is not going away anytime soon when there is so much political unrest. Contact the M-Fire team to get you a quote. Builders and General Contractors need to take the quote to the owner and let them make teh decision. If they decided to take the risk to build with raw lumber after your offered them something that is so cost effective, then have them sign off that you offered it. All Owners, Builders and Contractors need to understand that after 2 construction workers died in the Denver fire during the work day Litigators could use that against you for ignoring that fact that there is now a cost affective way to defend that from ever happening again. Taking the risk when we have lost 29 projects to fire in the last 12 months is no longer a risk worth taking. If by chance your project was ignited by fire mid-day like in Denver and even one workers gets hurt or killed, do you really think you have enough insurance to support that kind of litigation?